Babajide Ololajulo, wanted to contribute to scholarship about Africa, written by Africans. His book, “Unshared Identity: Posthumous Paternity in a Contemporary Yoruba community” forms part of the African Humanities Series which covers topics in African histories, languages, literatures, philosophies, politics and cultures. 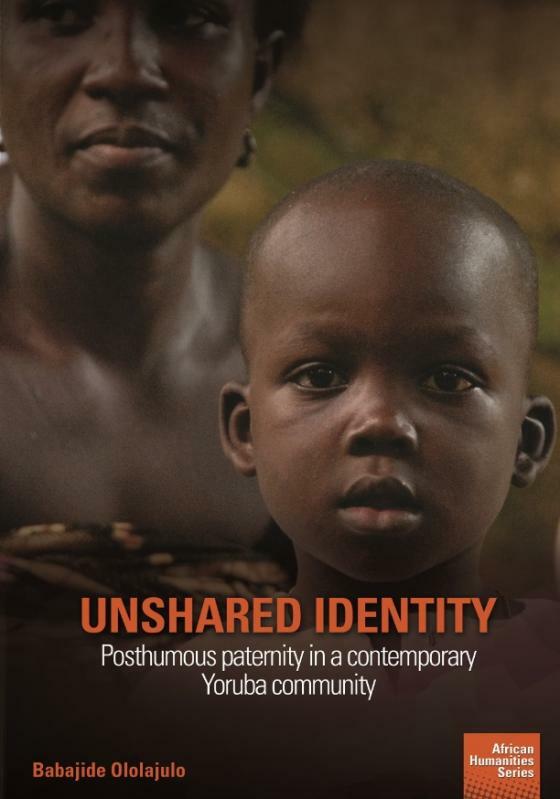 Unshared Identity employs the practice of posthumous paternity in Ilupeju-Ekiti, a Yoruba-speaking community in Nigeria, to explore endogenous African ways of being and meaning-making that are believed to have declined when the Yoruba and other groups constituting present-day Nigeria were preyed upon by European colonialism and Westernisation. However, the author’s fieldwork for this book uncovered evidence of the resilience of Africa’s endogenous epistemologies. Dr Babajide Ololajulo is a Senior Lecturer in the Department of Archaeology and Anthropology at the University of Ibadan, Nigeria. His research interests cover politics of identity, heritage and memory, and the political economy of oil exploration in Nigeria. ing the ways in which dominant Western ideals of being and belonging are globalised or proliferated, while those that are unorthodox or non-Western (Yoruba and African in this case) are pathologised, subordinated and perceived as repugnant. At a time when the issues of decolonisation and African epistemologies are topical across the African continent, this book is a timely contribution to the potential revival of those values and practices that make Africans African.